We’ve spent the last year working with partners to bring thousands of new devices on board to work with the Google Assistant. 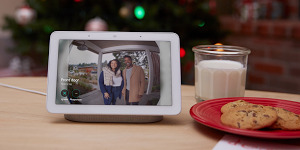 As of today, there are more than 200 million devices in people’s homes, made up of over 10,000 smart devices from over 1,000 brands—including Nest, LG, ADT, August, Simplisafe, Vivnt and VIZIO—that work with the Google Assistant. We’ve also expanded our offerings in categories like home security and entertainment, so that almost anyone with a TV can make their home smarter with the Google Assistant. In fact, you probably have the devices you need already. A thoughtful home should work with all types of devices, giving you the flexibility to set your home up in a way that works best for your family. Millions of TVs, set top boxes and security systems that are in homes today can be controlled with the Assistant. And with home view on Google Home Hub, we’re putting more control at your fingertips, so you can manage all of your connected devices from a single screen. Now you can control smart lights, pause the TV, monitor Nest camera feeds, adjust thermostats and more—all on one screen. * And with the redesigned Google Home app, you can control any of your connected devices while you’re on the go. Lighting: Hundreds of smart lights work with the Google Assistant on Google Home, and now you can start your smart home with our newest bright idea: the Smart Light Starter Kit. 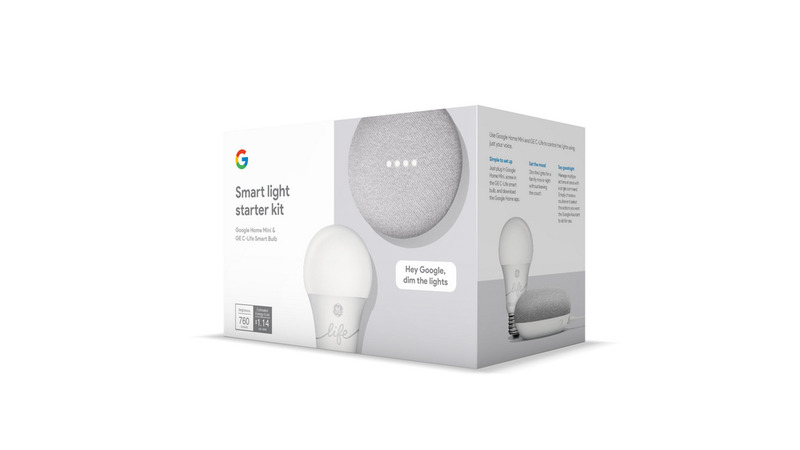 The starter kit includes Google Home Mini and GE’s C-Life bulb. They come pre-linked, simplifying the setup process. The kit is yours for $55, and you can find it at the Google Store, Best Buy, Target, Lowes and Walmart.com. Additional C-Life and C-Sleep bulbs can also be easily added. It’s our way of making the smart home accessible for everyone—the kit is affordable, a breeze to set up, and the perfect addition to any home. Entertainment: Chromecast, our very first Made by Google product, makes it possible to stream your favorite shows, music and movies from more than 2,000 apps. But you probably have more than one brand of devices in your living room, so now we’re making everything work together—you can control your VIZIO TV, DISH Hopper DVR and more, from your Google Home, Mini, Max and Hub. With DISH, you can play, pause and record content, search for shows or actors, change channels and control the volume without lifting a finger. Energy: Nest thermostats have saved over 24 billion kilowatt hours of energy in millions of homes worldwide since we launched the Nest Learning Thermostat in 2011. Now we’re bringing you the Nest Learning Thermostat in three new finishes: mirror black, brass and polished steel. There are now seven color options to choose from in total, so you can find the one that matches your personal style best. Home security: With security products from Nest, August, ADT, Simplisafe, Vivint Smart Home and more, you can have peace of mind whether you’re at home or on the road. You can even see your Nest Cam’s feed right in the new Google Home app, just in case you hear something go bump in the night. Household chores: We’ve added even more appliances from GE, iRobot and other brands that can help you take care of everything from starting the washer to vacuuming your home. And with Google Home Hub, cleaning is as easy as, “Hey Google, clean the kitchen.” Your Roomba will take off and tidy up for you. Fun: To bring more fun to the home, we partnered with Disney and OtterBox to create a custom base accessory for Google Home Mini in celebration of Mickey Mouse’s 90th anniversary. Plus, anyone with a Google Home Mini can have fun with a growing list of Disney experiences—just say, “Hey Google, play Mickey Mouse Adventure” to get started. Now, when I say “Hey Google, good night” my doors lock, selected lights turn off, my alarm system arms, my heat sets to 66 degrees, and the Google Home Hub quietly plays cricket sounds to lull us off to sleep. That’s the difference between a smart home and a thoughtful home. And that’s the kind of home we want you to have.